Chocolate is one of the most wonderful (and most finicky) ingredients to cook with. You don’t have to be a master chocolatier to make chocolate treats at home, but you do need to know a few basic tricks. Here are some things to keep in mind when cooking with chocolate. 1. Melt it gently. Chocolate is somewhat delicate when it comes to heat. It can’t handle too much all at once, or it’ll scorch. As a result, you have to be gentle with it. Don’t cook it directly over heat; even if you’re the best stirrer in the world, you won’t be able to stop it from burning. 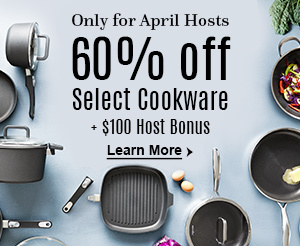 Instead, use a double boiler or glass bowl over your pan. Finely chop the chocolate and warm it slowly. Keep an eye on the water—you don’t want a full boil beneath your chocolate. Keep it around a simmer, and let the warmth from the water do the work. If you need to work fast (and use fewer pans), you can melt chocolate in the microwave. Just stick it in a microwave-safe bowl and heat it at half-power for a minute. When you take it out, it’ll probably look the same as when it went in. That’s OK; the chocolate will change its shape when you mix it. Once you stir, it’ll start to look like it’s melted. If it’s not the right consistency yet, stick it back in the microwave for another 15 seconds. Repeat this until the chocolate is the way you like it. Chocolate doesn’t require a lot of work, but it does call for a little extra time. If you’ve never worked with chocolate before, add an extra half of the total time the recipe calls for. Best-case scenario, you’ll have some downtime once you’re done and the chocolate can set a little longer. Worst case, you’ll have wiggle room if something goes wrong. 2. Keep chocolate dry. Water kills chocolate. People who have never worked with chocolate often underestimate the effect water will have, but just a few drops or even some excess steam can cause your chocolate to split. This means it will be stiff and grainy, making it hard to work with and destroying that perfectly creamy texture. Ensure that all your utensils are dry before using them in the chocolate. You should also pay attention when you’re moving the top of the double boiler on or off the base so no steam make its way into the chocolate. If you’re dipping anything into the chocolate, that needs to be dry, too. Chocolate strawberries are a common Valentine’s treat, and many at-home attempts have been ruined by using freshly rinsed berries. If you’re planning to make this sweet treat yourself, rinse them a few hours ahead so they have plenty of time to dry. If you’re still not sure whether their surface is water-free, gently pat them with paper towels. This will save you from getting lumpy chocolate once you start dipping. 3. Don’t fear split chocolate. If the heat goes too high or some water makes its way into your chocolate, there’s still a solution. Split chocolate, while disconcerting, isn’t the end of the world. Meet your secret weapon: vegetable oil. Keep a bottle on hand while you’re melting chocolate. If the chocolate starts to get grainy, just mix in a tablespoon of oil. This should help the chocolate return to the proper consistency. 4. Get fancy. Chocolate is super fun to work with, and the results can be impressive. For a simple treat that looks like it took time to create, use a flexible silicone chocolate mold to make homemade candies. Pour melted chocolate it into the wells, give it a gentle tap to remove air bubbles, place the mold on a sheet pan, and refrigerate until the chocolate is set. It’s that easy. Or make a caramel chocolate dipping sauce and put out apples slices, strawberries, pear slices, pretzels, cookies, angel food, or pound cake cubes as dippers. Add chopped nuts or toasted coconut to sprinkle over the top. Melted chocolate can easily be poured into a chocolate decorator bottle for precise control when adding a personal touch to cookies, cakes, and even drinks. 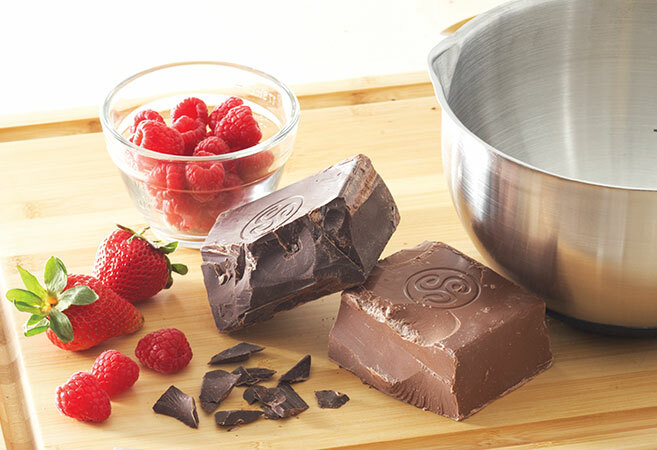 What are your favorite things to make with chocolate? Tell us in the comments below! My sister took 2 ritz crackers with peanut butter in be tween and dipped them in the chocolate. Her boys loved them. Also, if adding flavorings to chocolate, make sure they are oil based candy flavorings, not extracts as that will act like water in your chocolate.